Essentially England News - Spring Has Arrived! Maybe. The English are a bit like kids in a candy store when the sun comes out. And after two(!!) lots of snow that stayed longer than an afternoon, it was really nice to have a long weekend with decent weather. 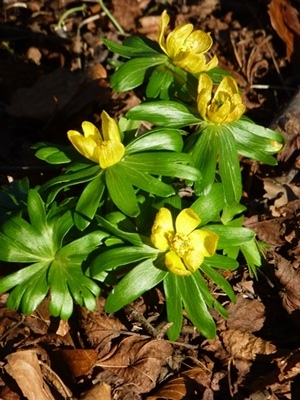 The first little lambs are gambolling in the fields, snowdrops and cyclamen are adding colour to a nice long walk,and if you're lucky, you end up with a stunningly blue sky. Our great spring weather lasted all of four days. And now... is that a snowflake I see? 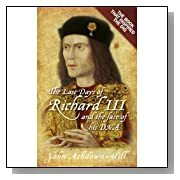 I've always had a soft spot for King Richard III, mostly because the Tudors did such a number on the man, vilifying and slandering him until nobody knew what was truth and what was fiction. It always intrigued me that he had such a great reputation as a capable and just administrator, loyal friend and skilled battle commander, only to be heralded as a murderer, ursurper and who-knows-what-else after his death. And then there was Bosworth, of course, and Richard's death and the truly evil way Henry Tudor's forces dealt with his body. Not that this was particularly outrageous for the times - after all, Simon de Montford's corpse was hacked to bits and so, doubtlessly, were many others - but when I first read about it, it seemed unnecessarily cruel and heartless to me. I'm not a Ricardian with a capital R. I don't think the man is innocent of everything he's ever been accused of, but I felt he should have justice. And now his body has finally been found, and some myths can be addressed and others discarded, maybe we can get a better understanding of one of England's most mysterious kings. I'm reading the book that inspired the dig at the moment - links above - and really like the author's attempt to do away with 'hindsight'. Once I thought about it, I had to agree that we look at Richard knowing he was going to lose the war. Moreover, we look at Richard as if Richard knew he was going to lose the war. Which he couldn't have done... So I'm hoping for a slightly different look at Richard's story - and I'll let you know what I think in a review in a little while. Flying into London on an evening can be a wonderful experience - with the Thames a ribbon of darkness bounded by some of the world's most famous sights, with roads like rivers of light stretching out beneath you. And if you're lucky, and your flight coincides with Guy Fawkes Night, then you get to see fireworks displays from the air. But since not all scheduled flights land late night, here's an alternative. 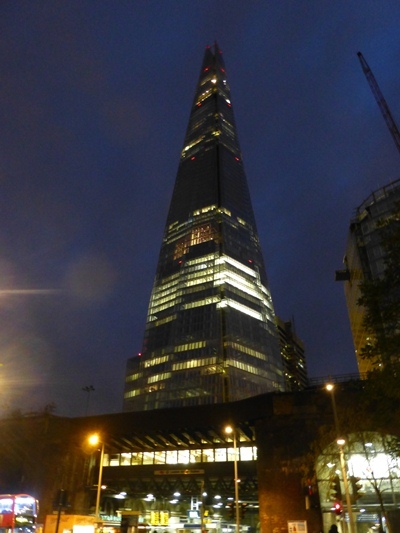 The Shard, Europe's tallest building, is almost finished. We took this photo on my birthday in November, when there was still a bit of construction work to go. but now it's ready and you can experience the views for yourself. For tickets check this site and whether you book them for yourself or as a surprise for somebody else, please share if you liked the view or not! Being in a Ricardian sort of mood, I was looking around for a recipe that Richard III might have enjoyed during his lifetime. But as these things go, along with gingerbread and venison pie I came across a little snippet of information that was too good not to share. If you like medieval history, or like reading medieval style novels, you may have come across a grand banquet scene where the king and queen are said to dine on peacock and swan... amongst other fowl like geese and ducks and chicken. I remember reading about the peacock being served with all its feathers refitted after being cooked and wondering if the meat wouldn't be stone cold by the time it was served. Now I find out that I must have misunderstood the whole concept. 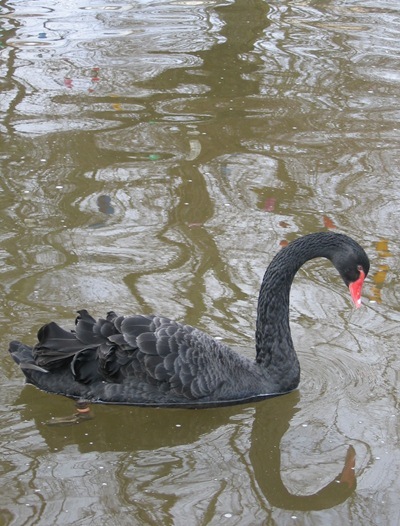 According to Medieval Cookery, a little book produced by English Heritage, neither swan nor peacock would have been eaten at all. The meat was considered too tough. So they were skinned and roasted, had their feathers refitted and were used as table decoration. Sniff! So the next time you read about great feasts and royalty dining on swans... you'll know better! We've had the first few glorious days of sunshine. I've been out to gawk at snowdrops and crocus and in London, which admittedly is further south, I caught the first glimpse of flowering daffodils. We had an afternoon out in Stowe Park and hope to start exploring a bit more as soon as the weather gets better.